Hyperlinks to chapters that explain the errors. FAQ at the start of each chapter defines all terms simply and clearly. 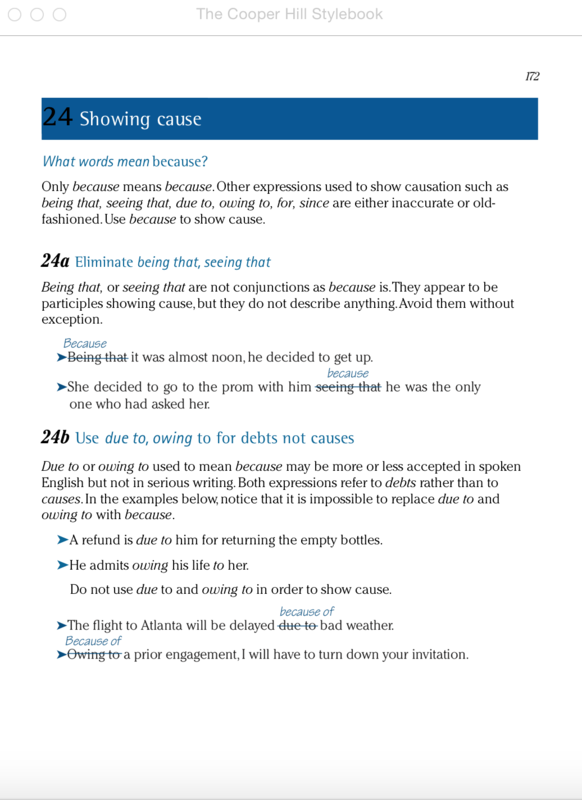 Examples illustrate the problem, and comments explain each example. 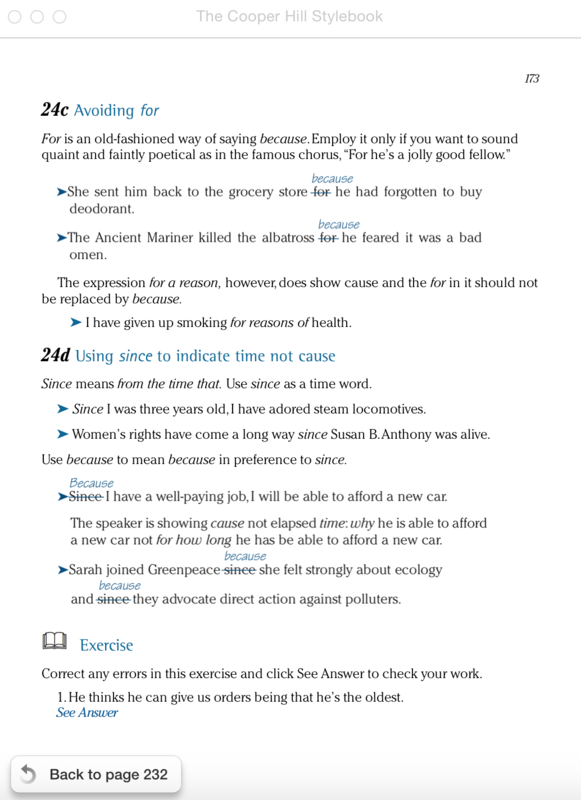 Exercises at the end of chapters provide needed practice. 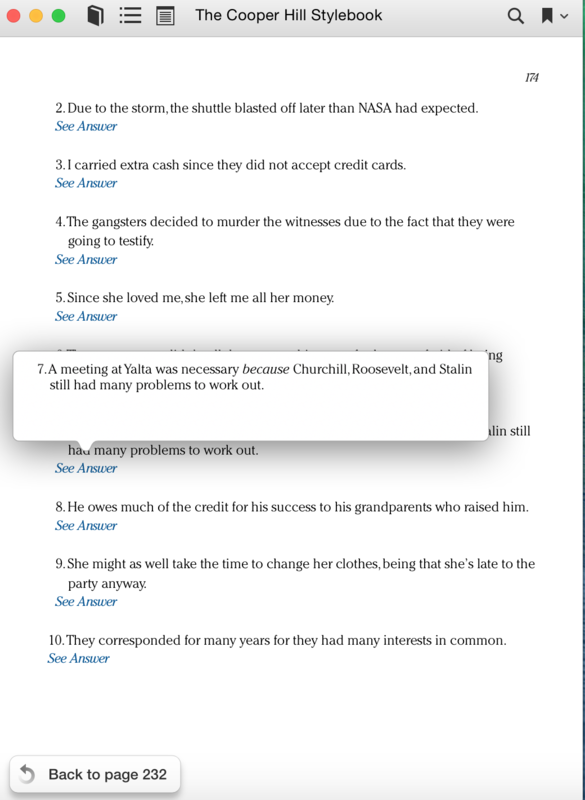 Hyperlinked answers give instant feedback to exercises. Every corrected answer is preceded by an explanation of the error. How to correct writing errors? Type the error name or number into the Search window. Click the thumbnails for a §24 error. Read the faq at the top for definitions and explanations. Take a shortcut to the examples. Practice a few of the exercises, and check your answers.